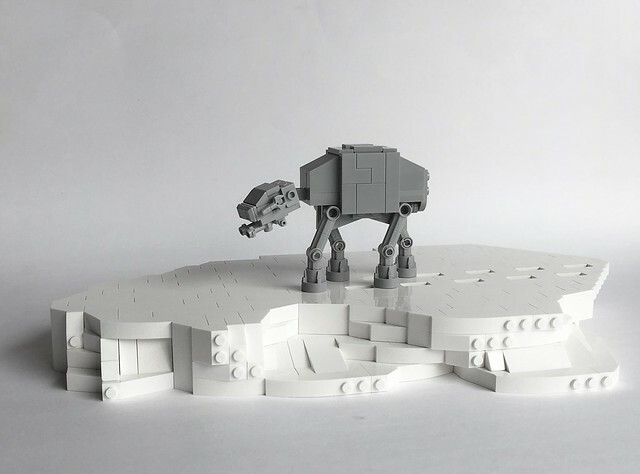 This is by far the best small-scale AT-AT I have seen in LEGO form! 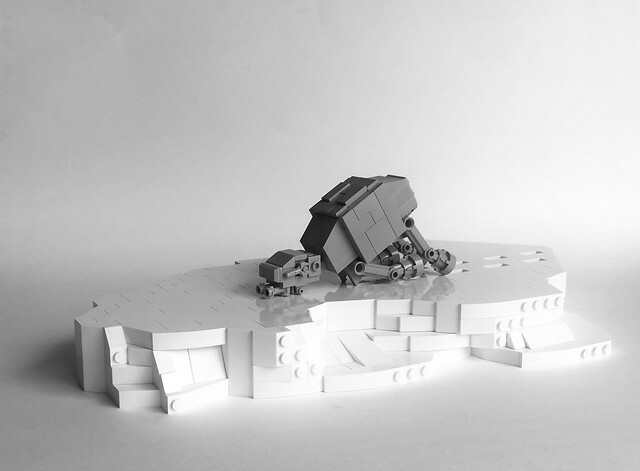 Thanks to MIro Dudas, we instantly recognize this iconic scene and vehicle from The Empire Strikes Back. This model is so incredibly accurate, if I happen let my eyes go out of focus, it doesn't even appear to be LEGO. It also appears that the midsection could be easily switched out with orange elements to remake this as an AT-ACT (though there are other differences between the two variants). I appreciate that Miro even included the walker's footprints in the snow, a detail others leave out of their scenes. Nicely done!